The 2011 World Series hits game 6 soon and the Texas Rangers get two chances to close out their first title. 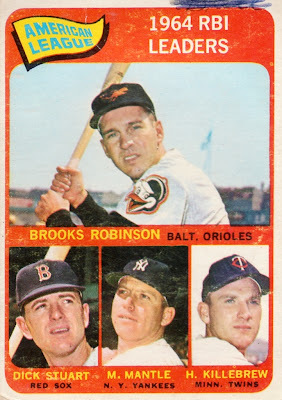 As we await its first pitch, here's a profile of the 60s, Topps' second decade of baseball sets. 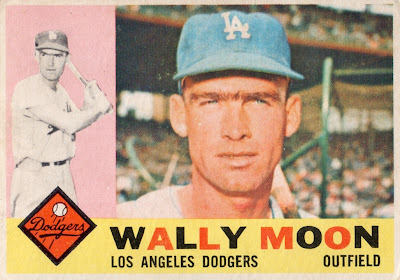 Do collectors ever get tired of Wally Moon's unibrow? No, we do not. I love this black hat + warmup jacket look. 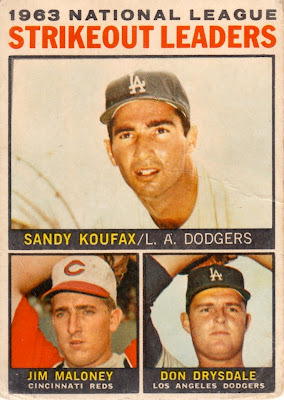 The definition of going out on top, Koufax won three Cy Youngs and an MVP in his final four seasons. 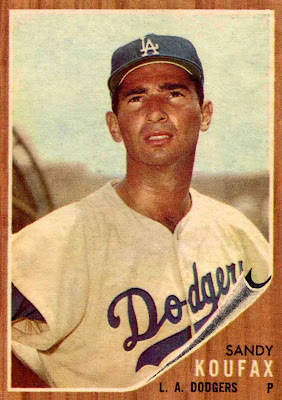 That's 3 straight Koufax cards, thanks to his record-setting strikeout totals. 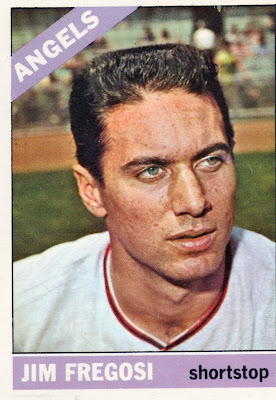 Koufax broke Bob Feller's modern mark with 382 whiffs in 1965; that stood until Nolan Ryan send down 383 batters in 1973. 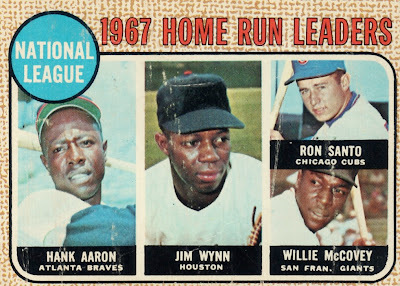 Collectors must've taken to these leaders cards, as Topps kept them going for decades. 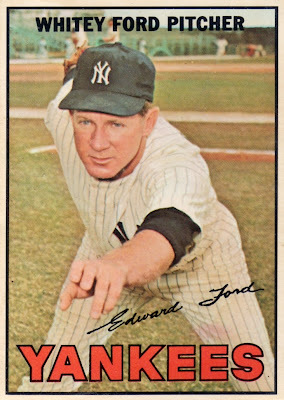 It's the cheapest way to get Mantle cards from his career. 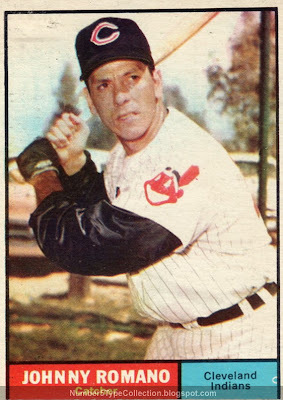 Yogi's final active card came in 1965, Whitey in 1967, Mantle in 1969. It took a decade (and the dawn of free agency) for the Yankees to put a championship roster back together. That's an early-60s picture of Ron Santo, possibly even his rookie year. Topps never forgets! 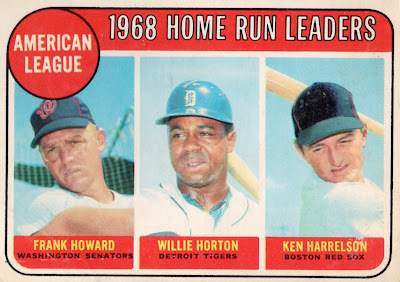 Willie Horton swung a big stick for the expansion-era Mariners, so was one of my favorites. He now has a statue outside Tiger Stadium and rocks a world-class mustache.